As the controversial Media Spree development rapidly spreads down the riversides, gobbling up many of the city’s club spaces, the nightlife action is being pushed ever eastwards. One loosely knit party collective started throwing semi-legal irregular parties in a multi-storied old apartment block. 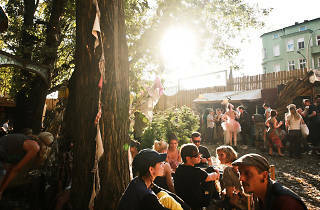 Referred to more commonly as Renate, the club has now carved out a mini-empire down the bottom of Stralauer Allee: there’s an outdoor garden area (with paddling pool), a labyrinth installation, café and most recently, a large open-air venue just across the other side of the Spree. 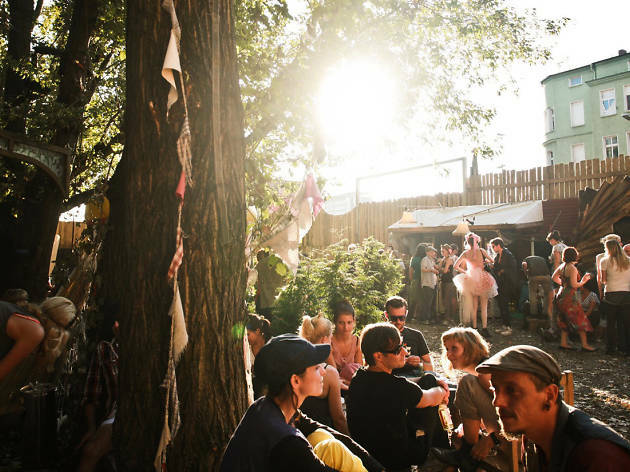 Although international visitors increasingly outnumber locals, the original club still offers a slice of that semi-underground experience with a music policy that leans towards the more hedonistic side of disco house. Depending on the night, one or all of the floors might be open, each decorated in a typically haphazard fashion with rickety bunk seating and ladders running around it. There’s even a secret mini-club in the attic area. Expect long queues between 1am and 3am but once inside, you can run wild, like kids in an adventure playground, exploring the multitude of rooms, corridors and hidden corners.